Lesley Linda Hill had a hysterectomy in 1999. In the weeks that followed the operation Lesley developed an abscess that ruptured, damaging the urethra half way between the bladder and the right kidney. Lesley's sudden, severe, lower right abdominal pain started in June 2002. With pain ranging from a VAS of 8/10 on a bad day and 5/10 on a good day, Lesley was referred to Consultant Anaesthetist Prof. Jon Raphael and Specialist Pain Nurse Jane Southall at the pain clinic at Russells Hall Hospital, Birmingham, where she was offered PENS therapy. 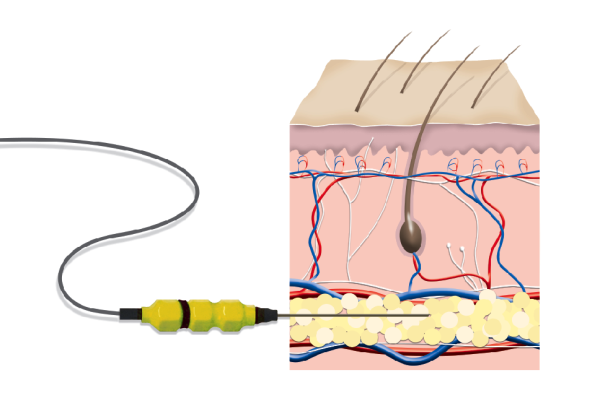 Lesley was treated with a 25 minute cycle of PENS therapy, Program C. The allodynic area was mapped using cotton wool and the PENS Probe was inserted into the subcutaneous tissue such that the conductive length of the Probe crossed the major axis of the Allodynic area. The skin entry point was outside of the allodynic area. In week 1 Lesley’s pain was reduced to VAS 2/10. In week 2 the pain returned to the level of a good day – 5/10. Her pain returned severely in the last couple of days of the 4th week. Lesley returned to the PENS clinic at Russell’s Hall with a pre-treatment VAS of 7/10. She was treated for 25 minutes with Program C at 0.5Volts. Post treatment Lesley’s VAS was 2-3/10 and remained at 2/10 for three weeks. In week 4 her pain was still low although she experienced a few twinges towards the end of the week. Lesley returned to the PENS clinic to repeat the procedure. Her pain score pre-treatment was 5-6/10 and post treatment 2/10. For the weeks that followed Lesley experienced very good pain relief (1/10) that lasted for 4 weeks. Although Lesley’s pain relief was still very good at 2/10 when she returned to the PENS clinic for review, she requested a PENS treatment fearing her pain may return in the coming weeks. Lesley was again treated with Program C for 25 minutes and had a post treatment VAS of 1/10. This pain relief continued and there were times during this period when Lesley was without pain, 0/10. Lesley had good pain relief for 8 weeks with a few episodes when the pain returned but not to her previous pain level. In week 9 Lesley experienced intermittent pain up to 6/10 however she has not needed to take medication. 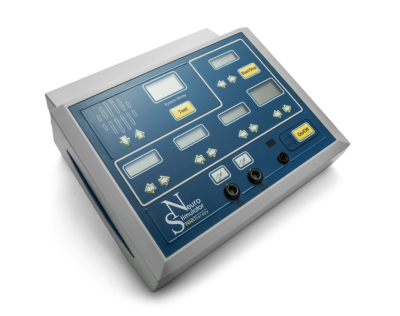 ​PENS is a minimally invasive diagnostic therapy, which enables the physician to determine whether a patient is likely to benefit from an implanted stimulation device, although for some patients it may also provide ongoing pain management, thereby avoiding the need for more invasive therapies, with their attendant risks. 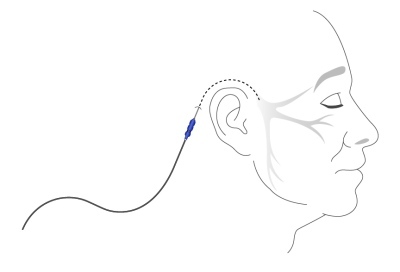 There are also patients for whom an implanted device is not appropriate and in these cases PENS therapy offers an alternative where other less invasive or pharmacological modalities have failed. In Lesley's case, PENS provided sufficient pain relief to avoid any more invasive surgery.